“We need to get members on both sides of the aisle talking,” he said. One bipartisan measure Tillis seemed open to is the appointment of a special prosecutor to investigate Russian meddling in the 2016 election. Tillis said when the deputy attorney general is confirmed the investigation can continue and a special prosecutor is one option they’ll explore going forward. Tillis also devoted a large portion of the hour-long town call to border security, largely due to his visit to the border last week, which included stops in McAllen and Laredo in Texas. Taking a question on immigration, Tillis first was optimistic before suggesting that immigration was another aspect of the larger issue of border security. Tillis said he learned during his visit to the Rio Grande Valley about the restrictions preventing a wall along the border and he said a varied approach to security would accomplish more than a wall along the length of the border. “Using technology and resources is the way that I think we should secure the border,” he said. 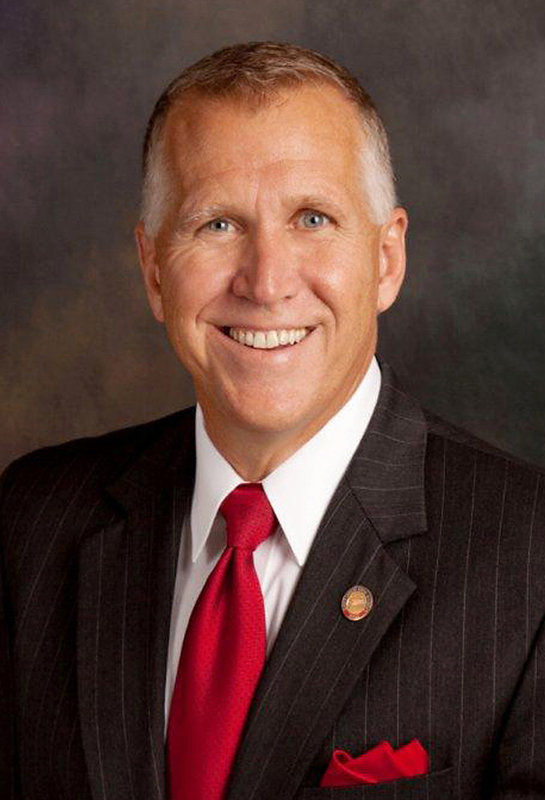 Pressed on whether he would assure no taxpayer money went toward the construction of the wall, Tillis balked. “I would love for Mexico to help pay for the cost of the wall but we have to secure the border,” he said.